5.1 How Common is Lung Cancer? 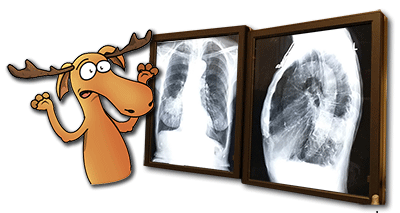 5.2.4 Lung Cancer Classification Systems for the Future? Forward to 5B Types of Lung Cancer Back to 4B In-Situ Lung Conditions . You should consult my doctor – you won’t live to regret it! This section includes descriptions of the different types of lung cancer. The 2004 World Health Organization (WHO) classification has been modified by the 2011, IASLC/ATS/ERS lung cancer classification. Non-small cell lung cancer (NSCLC) refers to the commonest epithelial cancers, squamous carcinoma and adenocarcinoma. ‘Small cell carcinoma’ (‘oat cell’ or ‘neuroendocrine carcinoma’) has a different cell of origin, behaves differently and responds to different treatment from NSCLC and is less common; this is why it is classified separately. Malignant tumors from non-epithelial elements can also arise in the lung (from fat, nerve, lymphocytes and blood vessels). The lung is also a common site for metastases, or ‘secondary’ tumor deposits, including from breast, the gastrointestinal tract, lymphoma and renal cell cancers. The tissue analysis or histology / histopathology of these tumors is covered in Section 6; the staging of lung cancer is covered in Section 7 and the treatment of different types of lung cancer is summarized in Section 8. I once heard a joke about amnesia, but I’ve forgotten how it goes now. The American Cancer Society (ACS) have shown lung cancer is responsible for about 27% of all cancer deaths. 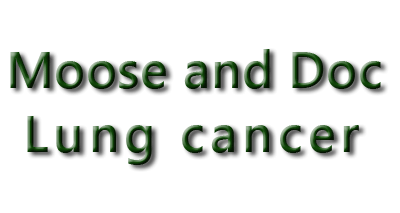 Lung cancer is the leading cause of cancer death in both men and women. Each year, in the U.S., more people die of lung cancer than of colon, breast, and prostate cancers combined. Lung cancer is obviously, more prevalent in the older population. At least 60 % of individuals diagnosed with lung cancer are 65 or older. The average overall age at the time of diagnosis is about 70. Indeed, less than 2% of all lung cancer cases occur in people younger than 45. The chance of a man developing lung cancer a single lifetime is about 1 in 13. The chance of a woman developing lung cancer in her lifetime is about 1 in 16. This estimate includes both smokers and non-smokers. However, for smokers the risk is much higher. The lung cancer rate has been falling among men during the past 20 years; it has just begun to fall in women. Survival statistics for lung cancer vary depending on the stage (extent of spread) of lung cancer at diagnosis. In some individuals, it is possible to completely cure lung cancer if it is in the earlier stages on diagnosis. The driving reason for implementing lung cancer screening programs is to catch lung cancer in the early stages. SEER data for 2014 estimates that new lung cancer cases in the U.S. were 224,210 with lung cancer representing 13.5 % of all new cancer cases and 27.2 % of all cancer deaths. I never realised that lung cancer was the leading cause of cancer death in the US. At least there’s a downward trend as more and more people are stopping smoking. Everybody knows it’s very difficult to stop smoking but there’s some great help here for those wishing to try. The importance of classifying lung cancers lies in the fact that different types of cancer have different behavior and outcome, and they respond differently to different treatments. For decades, lung cancer classification relied upon histological or microscopic appearance of the tumor cells. Over the past 30 years, lung cancer classification has improved. This is in part due to improvements in immunohistochemistry (IHC) that now show proteins expressed by different tumors. In the past 20 years, molecular and genetic marker expression by different tumor types has refined classification even further. 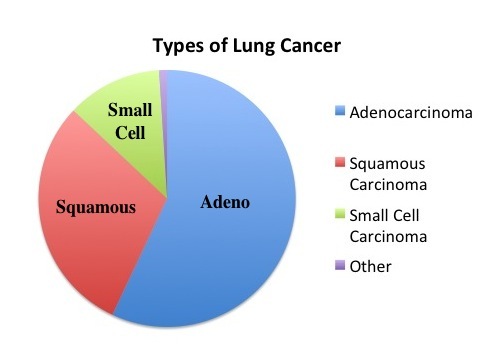 Non-small cell lung cancer (NSCLC) includes adenocarcinoma (57 %), squamous cell carcinoma (30 %), small cell carcinoma (neuroendocrine) 12 % with all other primary tumors, including lymphoma, of up to 1 %. Classification of lung tumors has an important purpose for patient care. Furthermore, lung cancer classification enables physicians and surgeons to choose the best treatment for each patient. In addition, lung cancer classification is the basis for modern ‘targeted therapy’ and ‘personalized medicine’. Doctor Who! You’re right Moose. Let’s hope the tardis shows up soon and takes us away from all this! In 2004, the World Health Organization (WHO) and the International Agency for Research on Cancer (IARC) published a revised classification of lung cancer. This classification incorporated a number of developments, including recognition of lung cancer heterogeneity, the introduction of diagnostic immunohistochemistry (IHC), and the recognition of newly described entities such as fetal adenocarcinoma, cystic mucinous tumors, and large cell neuroendocrine carcinoma. Approximately 70 % of patients with lung cancer will present with advanced-stage lung cancer. On a small biopsy or in a cytology specimen, it may be difficult to identify glandular differentiation (adenocarcinoma) or squamous differentiation. In pathology reporting the use of the term, ‘non-small cell lung carcinoma’ (NSCLC) or carcinoma ‘not otherwise specified’ (NOS) are acceptable. But there is an increasing need to know whether the cancer is an adenocarcinoma, even in small tissue or cell samples, as this can affect patient management. That’s an awful lot of classifying…any sign of that tardis yet? In 2011, the International Association for the Study of Lung Cancer (IASLC), the American Thoracic Society (ATS) and the European Respiratory Society (ERS) made revisions to the pathologic (diagnostic) classification of lung cancer. Most importantly, revisions have been made to the classification of adenocarcinoma of the lung. The international panel included pathologists, lung physicians (pulmonologists), cancer physicians (oncologists), radiologists, radiotherapists, thoracic surgeons and molecular biologists. The WHO has not yet adopted the 2011, IASLC/ATS/ERS classifications of lung cancer. The reason for the revisions included the need for clearer identification of tumor type from small biopsies and cytology specimens, together with the need to distinguish between adenocarcinoma and squamous cell carcinoma (SCC). The revisions are in line with the new prognostic and treatment markers expressed by some tumor cells, such as EGFR and ALK) . Adenocarcinoma (or NSCLC, NOS) should be investigated for expression of epidermal growth-factor receptor (EGFR) mutations; the presence of EGFR mutations is ‘predictive’ of tumor response to EGFR tyrosine kinase inhibitors (TKIs). Lung hemorrhage may occur in patients with squamous cell carcinoma who are treated with the angiogenesis inhibitor, bevacizumab (Avastin). Adenocarcinoma diagnosed on histology is a strong predictor for improved outcome with pemetrexed therapy (compared with a diagnosis of squamous cell carcinoma). Recommendation for a limited immunohistochemistry (IHC) work-up to distinguish between adenocarcinoma and squamous carcinoma. The use of the names, ‘bronchioloalveolar carcinoma (BALC)’ and ‘mixed subtype adenocarcinoma’ have been discontinued. In surgical resection specimens of lung, the identification of adenocarcinoma in-situ and minimally invasive adenocarcinoma are used; this is because this group of patients will have 100% disease-free survival if they undergo complete surgical resection. Invasive adenocarcinoma of the lung is now classified by its predominant pattern (lepidic, acinar, papillary, and solid). Micropapillary adenocarcinoma is now added as a new histologic subtype that has a poor prognosis. The clinicians, scientists and pathologists in the IASLC/ATS/ERS believe that this new classification will provide a standard for pathologic diagnosis. These changes will lead to improved patient care, to improved tumor staging (TNM) (see Section 7) and will help to bring new treatments to patients through improved clinical trials. The IASLC/ATS/ERS classification has also made clear that tissue samples from patients should be examined carefully to preserve as much tissue as possible for diagnosis, and for molecular studies. When a patient has been diagnosed with advanced adenocarcinoma of the lung, it is recommended that tissue should be tested for the presence of a mutation that may be amenable to targeted therapy (e.g., mutated EGFR or ALK translocation). Why shouldn’t you make fun of a fat girl with a lisp? Because she’s probably thick and tired of it! 5.2.4 How May Classification Systems Be Refined in Future? Treatments for advanced-stage lung cancer have made some recent advances, based on studies of the genes and proteins expressed by different types of lung cancer.v In the near future, these ‘molecular‘ tumor profiles may lead to alternative classification schemes. EGFR and ALK mutations are found in lung adenocarcinomas that arise in non-smokers. KRAS and BRAF mutations are more common in smokers or former smokers. How do you make Anti-freeze? Hide her cardigan. Forward to 5B Types of Lung Cancer . Back to 4B In-Situ Lung Conditions .